As expected, the likes of Pokémon GO, Pokémon: Let’s Go, Pikachu! and Pokémon: Let’s Go, Eevee! are necessary, but so is the Mystery Box. On top of being able to receive items by sending Pokémon from Pokémon GO, to the Let’s Go games, the very first time you do this, will allow you to obtain the Mystery Box in Pokémon GO. Another way to obtain a Mystery Box is by sending a Pokémon to a friend who has a copy Pokémon: Let’s Go, Pikachu! or Pokémon: Let’s Go, Eevee!. However, you can only have one Mystery Box at a time. Now, once a Mystery Box opens in Pokémon GO, Meltan will appear, but only to the player who has opened the Mystery Box. That player will then have around 30 minutes to catch as many Meltan as they can. They can attempt this by pressing on a Metlan in the wild, whilst playing the app, and attempt to catch it with a Poké Ball before moving on to the next one. Once a box has been used though, it will then close itself and players will need to wait an undisclosed amount of time before they can transfer another Pokemon and the Mystery Box can be opened again. 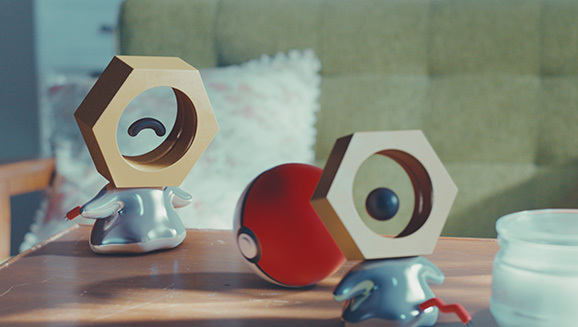 By transferring Meltan to the Let’s Go games, players can then do what they want with the Pokémon, including having Meltan follow their trainer around. Albeit the app is free to download though, not everyone has or plays Pokémon GO, so if you’re worried you will need to create an account to get Meltan, we’ve got some good news for you, you don’t. As long as you have a really good friend who does have Pokémon GO, they can send you a Meltan they have caught. Step 1: Trade a Pokémon from Pokémon GO to the Let’s Go games to obtain a Mystery Box. Step 2: Open the Mystery Box in Pokémon GO. Step 3: With the Mystery Box open, Meltan should now appear in the wild. Attempt to catch as many as you can within the timeframe. Step 4: Upon successfully catching Meltan, when allowed to, transfer the Pokémon to your desired Let’s Go game. Step 5: Repeat the process if you wish to catch more Meltan. *At this moment in time, Meltan can not be captured. As always, we hope you found this guide helpful and should any new information comes to light that requires us to update the guide, we will do so without hesitation.